Alert all the investors! Market is at its peak. Don’t make any wrong decision that may cost you high. Talking of stats, market is at its all time peak, for the first time the Sensex has crossed the mark of 35,000 and the current rally has proved to be a big hit for the investors. However, there are a few experts who are warning to stay cautious in the phase. Let’s understand the real picture! Everyone wants to know, what experts of this equity market are projecting concerning the current phase of the market. Well before this, we need to understand that market moves in periodical cycles, and it has three major cycles which include Positive, Negative, and Sideways cycle. Further, positive cycle can have best, boom, and bubble phase as said by experts. In this case, investors can be broadly classified into two categories which include the existing ones, and the new comers. The declining situation of the market is not good for both of them and they should get the right guidance in order to safeguard themselves from this probable situation. The market is already at its peak, so the investors (both existing and the new ones) should stay cautious in making new investment decisions. Don’t allocate all your money in a scheme which may cost you high loss. 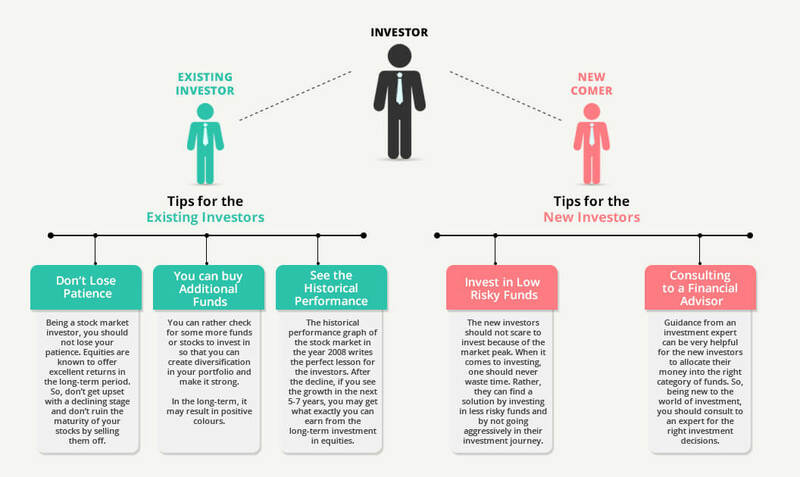 It’s better to connect with an investment expert to seek healthy investment decisions. Keeping an eye on the current market situation, you can choose to invest in multi-cap, large-cap or balanced mutual funds.